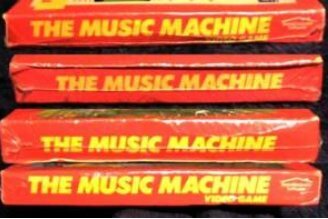 Looking at the seller's personal listing page, I wonder if the image of 4 Music Machine games is actually a composite showing all 4 edges of one cartridge. @mndrix - that might be right. But all four sides look to be the same length and the game isn't a square so two of the sides should be different lengths. Unless he scaled those images, in which case the fonts would be a bit small. I will ask the seller and get some clarification. 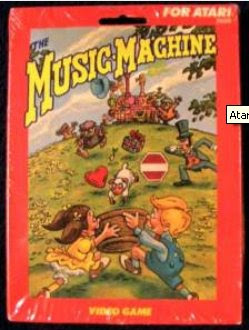 On the ebay article itself he mentions he got it from when he worked at the company, and kept this one as a souvenir, no box of countless copies. Also, its the same game, all 4 angles. You'll notice 2 of them are extra high, different copies would all have the same length. The 2 short sides are extra high because they're zoomed in and magnified to have the same length. This seller only has one cartridge. The picture is a composite of the 4 different sides of the box. Yep, you guys are right. The image is a composite of the four sides. He does not have multiple copies so the game isn't suddenly uncommon. Thank you everyone for correcting me.